One of our top asked questions is what are the best kitchen paint colors to update the look of our room on a budget. This is not an easy question, because the right color for one homeowner can be completely different than for another. The best kitchen colors for your space all depend on the look you want to achieve. 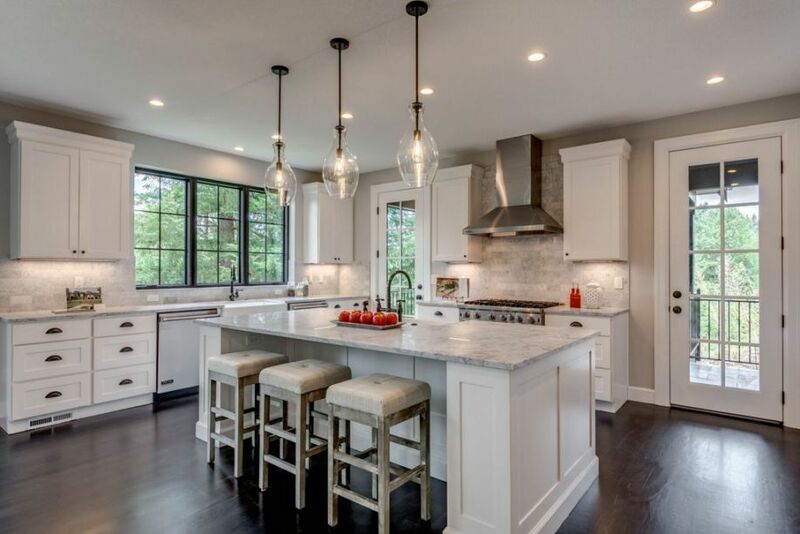 Do you want an updated twist on traditional design like in this lovely kitchen, or do you prefer sleek modern designs. Before you even start looking at kitchen colour ideas you need to determine the answers to those questions. If you are unsure of whether your decor tastes lean contemporary or more traditional, I would suggest browsing this site to find pictures of homes you like. Bold kitchen cabinet paint colors can really set the tone for a home. This house design shows how a statement shade like a cool-toned grey can completely transform the look of a space. 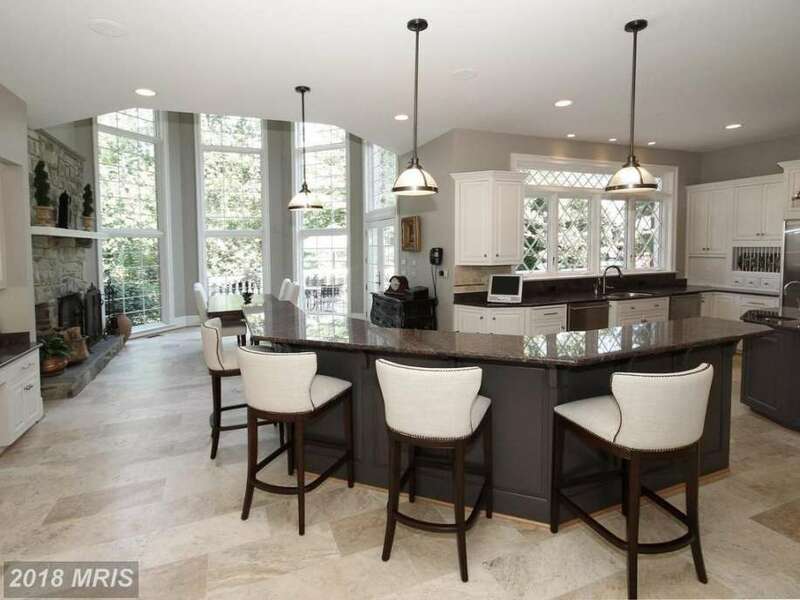 Before we updated this kitchen, it had traditional cherry cabinets and tan granite countertops. It was a very 2000s design. The cupboards were in good shape so, rather than spending the money to rip them out and install new, we decided that painting kitchen cabinets would be the best option. Wow what a change a simple coat of paint made. To keep things interesting we mixed three shades on the units placed throughout the large room. 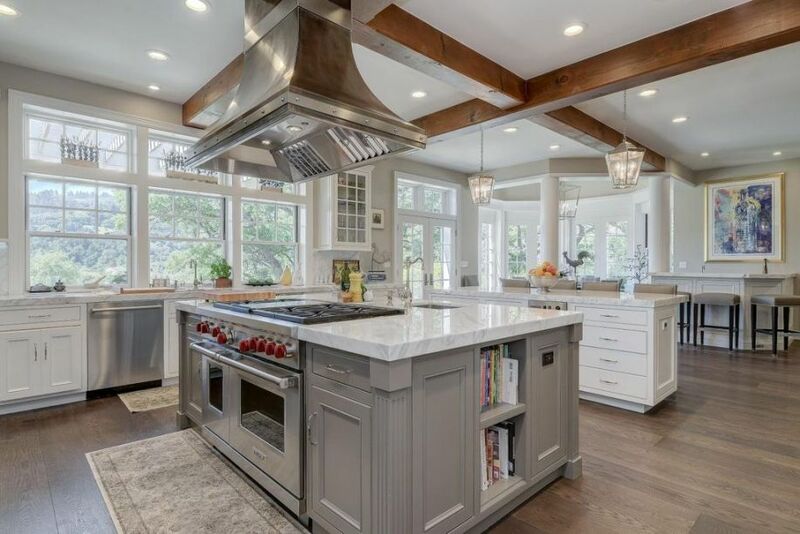 Beautiful kitchen paint colors can absolutely transform the look of a room. We recently embarked on a kitchen makeover, and it became a huge learning process for us. While that sounds like it was a pretty negative experience, it actually wasn’t. Before we started, I assumed we would have to spend a ton of money to update the space and make it look the way we wanted. I started by revamping the kitchen wall colors and boy was I surprised at how huge of difference a simple coat of paint made. Before our kitchen was painted in a deep burgundy shade (awful I know). It made the white cabinets stand out nicely but, overall, had a very dark and outdated look. 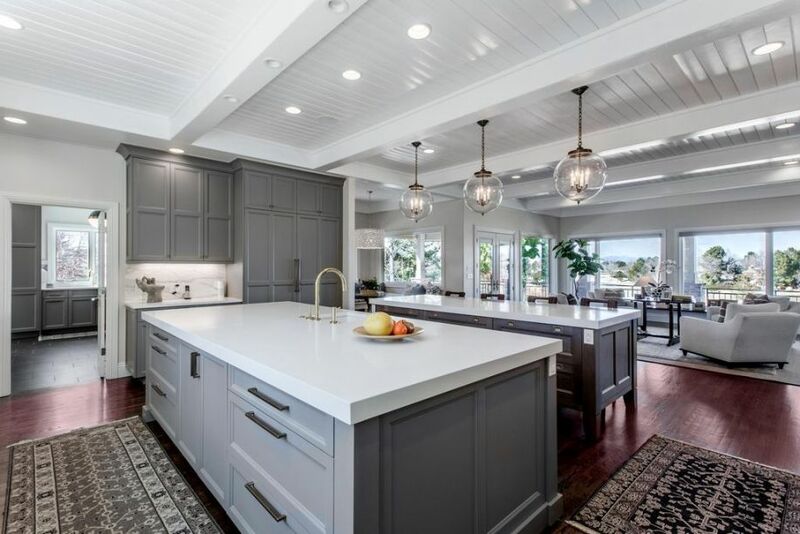 One of the hottest money saving trends in kitchen design for 2019 is painted cabinetry. As you probably know, cabinets are the single most expensive element in kitchen design (often even more expensive than appliances). For that reason, painted kitchen cabinet ideas have been on the rise. This technique offers you a way to recycle your old units to cut down on costs, while still breathing new life into an outdated space. It is actually a great idea because you can customize their look to perfectly coordinate with the rest of your kitchen colors. You aren’t bound to the limited shade choices offered by your local home improvment stores or online vendors. Even though you do have the freedom choose any cabinet color, I have some recommendations to ensure that your final design is perfect. 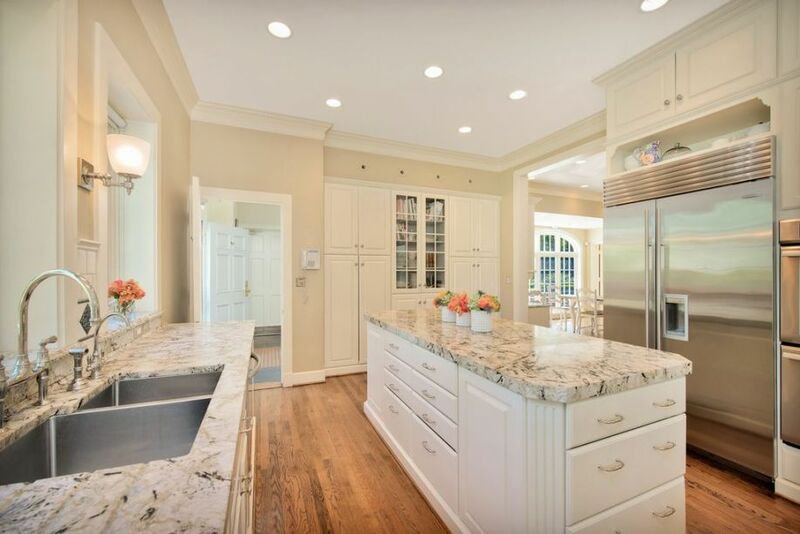 Clients are always asking me how to choose kitchen paint colors with white cabinets. I can see how this would be a challenge because white units are the absolute easiest to coordinate shades with As such, your paint options are virtually endless. There are a few points I can suggest to help you narrow down your options though. Most importantly, you must consider kitchen color schemes as a whole before picking wall, ceiling or trim paint. You have to think of the room as a cohesive unit rather than smaller individual elements. This goes for white cabinets as well. First take a look at your cabinet design. Because my client’s tend to prefer modern style homes, I have been spending a ton of time recently honing in the best kitchen colors to build these designs. In my experience, contemporary color palette focus on neutral shades with bold pops of color to accent and bring a bit of visual interest. The kitchen paint we used in this home is a good example of how to put a modern spin on an existing design. 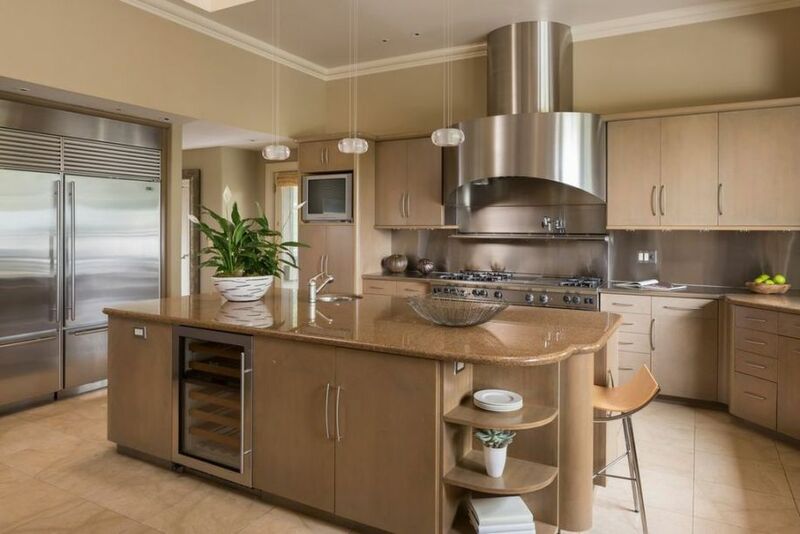 This home already had these beautiful contemporary style wood cabinets and coordinating granite countertops. The walls were painted in a boring white shade and there was little decor in the space. We decided to start the kitchen update by playing with paint color.